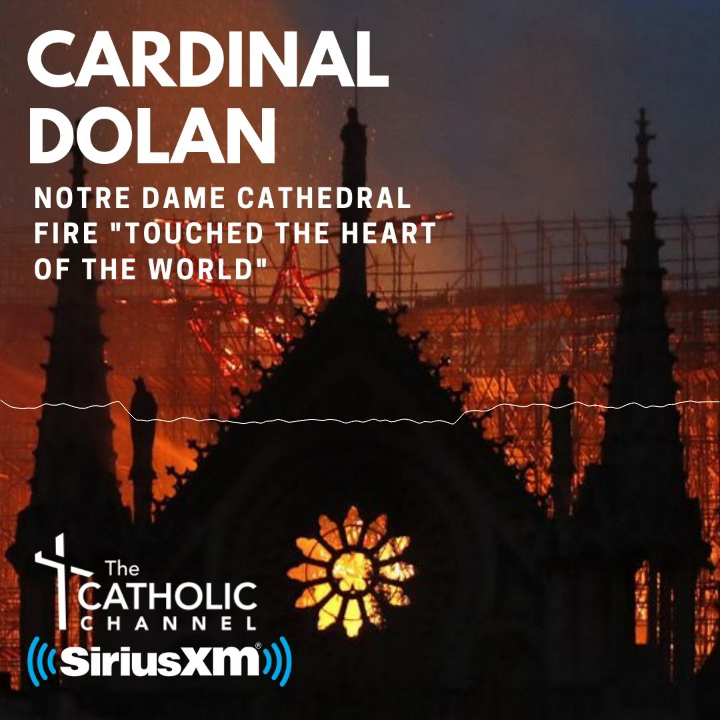 Cardinal Dolan gave the following address Nov. 13 at the fall meeting of the U.S. Conference of Catholic Bishops in Baltimore. Happy 100th Anniversary, my brother bishops, members of the United States Conference of Catholic Bishops! Welcome especially to Cardinal Pietro Parolin, and our nuncio, Archbishop Christoph Pierre. Thanks for your interest in the historic origins of our conference. I realize that a danger of asking an historian to explain the development of something is always dicey because we tend to go back to Adam and Eve! I promise I won’t…but this all didn’t start in 1917. See, we bishops in the United States have a long legacy of working closely together. This conciliar tradition antedates even the establishment of the diocese of Baltimore, our premier see, in 1789. In that period of ecclesiastical limbo, the 1780s, before we even had a bishop, when nobody really knew who was in charge, Father John Carroll invited his brother-priests to three organizational meetings at Whitemarsh, Maryland, in 1783, 1786, and 1789. These were collaborative assemblies of the two dozen or so clergy. Thus, the tradition of collaborative deliberations is an early one in our history. John Carroll was a quintessential American, who believed that a common purpose and plan, hooked to some organization, could provide the structure necessary to deal with most pastoral problems. Thus, very soon after his consecration as our first bishop in 1790, John Carroll again summoned his clergy, this time not to a voluntary organizational assembly, but to a canonical diocesan synod at St. Peter pro-Cathedral in Baltimore, from November 7-10, 1791. The twenty-two priests there spoke of the dangers of mixed-marriages, the Easter duty, the disposition of parish funds, priestly vocations, and the religious education of children, themes, you will note, which would, mutatis mutandi, find their way on agendas of canonical meetings all the way up to the one we’ll begin tomorrow. As you know, in 1808, Pius VII made Baltimore an archdiocese, with suffragans in Boston, New York, Philadelphia, and Bardstown, Kentucky. Three of the four new bishops were consecrated by Archbishop Carroll in the Fall of 1810, and there followed two weeks of meetings in what was an unofficial provincial council. They decided to hold the first official provincial council in 1812. Well...“the best laid plans.” We know what happened in 1812. No chance of a council in Baltimore while the British were bombing the city! So the eventual impetus for a council fell to another man, one of the most colorful prelates we have ever had, John England, a priest of Cork, Ireland, appointed first bishop of Charleston in 1820, who can legitimately be called the real father of our conciliar tradition. At John England’s pestering, James Whitfield, the fourth Archbishop of Baltimore, would summon the First Provincial Council of Baltimore for October 1829, the first of seven. This more or less set the praxis for all the following councils. The bishops were unanimous in their agreement that this first provincial council was fruitful—it had enhanced their cohesion as bishops, supplied consistency in ecclesiastical discipline, and sealed bonds with Rome. They were all excited about having one every three years. Whitfield convened the Second Provincial Council of Baltimore, a year later than planned, in October 1833. Four years later, the new Archbishop of Baltimore, Samuel Eccleston, who would preside over all the remaining provincial councils, summoned the Third Provincial Council in 1837. The Fifth Provincial Council took place in 1843; the sixth one, in 1846, and the Seventh Provincial Council of Baltimore, 1849. Our First Plenary Council of Baltimore would take place from May 9-20, 1852, and, at the conclusion of the Civil War, the American bishops expressed the desire for a Second Plenary Council, which would take place in 1866. The next, and last council, was not to occur until 1884, the Third Plenary Council of Baltimore. Seventy-two bishops attended the month-long November session. Among the decisions were that priests were given a voice in the choice of their bishops through diocesan consultors; parochial schools were mandated; a committee was set up to establish a Catholic University; and another to prepare what would become known as the Baltimore Catechism. Matters of pastoral urgency such as care for the immigrant, temperance, secret societies, and ethnic tensions were discussed. 6.New dioceses had the benefit of established praxis and an inherited wisdom because of conciliar precedent. 7.The bishops of the United States were viewed, internally and externally, as a national hierarchy, not in terms of regions or ethnicity. With the conclusion of the Third Plenary Council of Baltimore in 1884, a new pattern of conciliar style would develop, and remain in effect until World War I, namely, an annual meeting of all the archbishops of the country. While the councils of Baltimore had certainly worked well, they were, by their very nature, extraordinary, only to be summoned by Rome, and rather cumbersome in preparation and execution. Thus did the bishops of the country consider it wise for the metropolitans of the country to meet annually. These yearly meetings were to build on the assemblies that each province would have before, and, if necessary, after each meeting of the archbishops. These meetings of archbishops were, at least from 1885-1900, unfailingly interesting, and demonstrate that a “proud conciliar tradition” does not necessarily mean that bishops always get along. This American conciliar tradition would be dramatically expanded with World War I, and the main protagonist was the Paulist editor of the Catholic World, John Burke, who had long argued for a national outlook and sense of unity among the country’s Catholics. Here’s what happened 100 years ago: 1917—America enters the World War on Good Friday. It became apparent that some form of organization should be set up for unifying Catholic support of the war effort. The Knights of Columbus were the first in the field when the Supreme Board of Directors met in Detroit on June 24, and there made an appeal for a million dollar fund to be expended for religious and recreational purposes for our troops. Father Burke, under the auspices of Cardinal John Farley of New York, established the Chaplains Aid Association. With a view to coordinating the war activities of all Catholic groups, Burke proposed to the Archbishop of Baltimore, our unofficial primate, Cardinal James Gibbons, that a meeting be held. He and his two brother cardinals—O’Connell of Boston and Farley of New York —agreed. Thus did Burke invite all the bishops of the country to send two delegates—one priest and one layman—plus representatives of Catholic lay societies and the Catholic press to a meeting on August 11-12 at The Catholic University of America in D.C.
And there was established the National Catholic War Council! The NCWC did a lot of good, but there was a strong immediate sentiment that this successful endeavor should operate directly under the hierarchy. With this in mind, Gibbons wrote his brother bishops on November 21, 1917, reporting that at the meeting of the CUA trustees the previous week, it was the unanimous opinion of the prelates present that the hierarchy should act in concert on the important matters growing out of the war effort. Thus did he ask the bishops if they would agree to placing the NCWC under the bishops. The bishops were enthusiastic in their approval. Bingo! Three days after Christmas 1917, Gibbons informed Bishops Peter Muldoon of Rockford, William T. Russell of Charleston, and Patrick J. Hayes, auxiliary of New York, that, with the endorsement of the metropolitans, they had been selected to compose the executive committee of the newly established NCWC. On January 12, 1918, Gibbons and those three bishops met at CUA, and detailed the structure of the NCWC: it was to be composed of the fourteen archbishops, an executive committee of the four bishops mentioned previously, and six other bishops who would compose what would be called the Committee on Special War Activities. Interesting, in addition to its main purpose—to promote Catholic participation in the war—the NCWC added another duty: to represent and lobby for Catholic interests in the nation’s capital. It would be this second purpose that would soon prevail, because, on November 11, 1918, the war was over. The NCWC had worked well, had won applause from national leaders, and had a ton of money from its share in the United War Work Campaign. Burke insisted that the acclaimed reviews of the NCWC had shown the necessity and value of a permanent organization to represent national Catholic interests for the bishops. The entire hierarchy gathered at The Catholic University of America in February 1919, for a delayed celebration of the golden jubilee of Cardinal Gibbons’ episcopal consecration, and heard the legate of Pope Benedict XV, Archbishop Bonaventura Cerretti, challenge the bishops to be especially attentive to issues of education and social justice in the post-war years. That’s all the enthusiasts such as Joseph Schrembs of Toledo and Peter Muldoon of Rockford needed to hear, and they floated two proposals: an annual meeting of all the bishops every Fall in Washington, and a permanent administrative body in the national capital to promote Catholic interests on behalf of the hierarchy. That September 24, 1919, there gathered at The Catholic University of America 92 of the 101 diocesan bishops, the largest meeting of the hierarchy since 1884’s Third Plenary Council of Baltimore. This meeting formally approved the National Catholic Welfare Council, with dissent coming only from Cardinal William O’Connell of Boston, Archbishop Sebastian Messmer of Milwaukee, and Bishop Charles McDonald of Brooklyn. There chose the first administrative committee: Edward Hanna of San Francisco, as chair, with Dennis Dougherty of Philadelphia, Austin Dowling of Saint Paul, Muldoon, Schrembs, Russell, Bishops Canevin of Pittsburgh, and Dennis J. O’Connell of Richmond, as members. John Burke would remain as general secretary, a duty he would exercise masterfully until his death in 1936. Pope Benedict XV would soon give his placet to the National Catholic Welfare Council, and its establishment was communicated to the clergy and faithful in pastoral letters in February 1920. This new NCWC institutionalized the American conciliar tradition, giving it a permanent, well-oiled bureaucracy, and called for a yearly meeting of the entire episcopate, with a bureaucratic presence in D.C. composed of five departments: education, social action, laity, press, and missions. Just how muscular the spirit of collegiality had become would be clear two years later. Cardinal O’Connell, joined by Charles McDonald of Brooklyn, protested to the Holy See that the new NCWC smacked of Gallicanism, and encroached upon the independence of the diocesan bishop. Rome, especially Cardinal Rafael Merry del Val, O’Connell’s old friend, gave them a favorable hearing, and the Consistorial Congregation (the predecessor of today’s Congregation for Bishops) suddenly suppressed the NCWC! This would trigger what Elizabeth McKeown has termed “the most forceful protest to Rome in American Catholic history.” In two documents sent to Pope Pius XI, the Petition, simply asking the new pontiff, Pius XI, to reverse the suppression, and the Report, documenting the activities of the NCWC since its inception in 1917, the officers of the NCWC—Edward Hanna, Peter Muldoon, Austin Dowling, and Joseph Schrembs—argued that a national structure of bishops was crucial and that, if the suppression of the council stood, the credibility of the bishops would suffer, the Holy See would look autocratic, vindicating what the Protestants and Masons had been saying all along, and national Catholic unity would be ruptured. “Not to be nationally organized in Washington is to be without power in public life,” the bishops cautioned Rome, reminding the Holy Father that America was now a world power, and that the bishops needed a voice in the capital. Well, it worked! Rome cancelled the suppression. The Holy See did insist that the word “council” be changed to “conference”—so we now have the National Catholic Welfare Conference. At least the initials remained the same so no new stationery was needed. It is this structure that more or less functions to this day as the vehicle of the collegial tradition of the American hierarchy. Francis Hurley will later observe that the NCWC was a resounding success as structured collegiality, that it was the natural fulfillment of the vision of the episcopal collaboration dreamed of early on by John Carroll and John England, that it was vindicated at Vatican II in Christus Dominus #38, and that it serves as the model for other national hierarchies. That’s how it happened. Happy centennial!